Bob lives in the North Norfolk countryside where he has his own training studio and clinic. The studio is purpose designed and fully equipped for Bob to work one-to-one with golfers. High-speed motion capture video is installed. This is the ideal environment to come and concentrate on developing your new approach to golf and fitness – discreet, informal but focused. Bob also provides a half day total screening, assessment and planning programme. This will be a comprehensive review of your posture, physicality, a Physical Solutions dynamic movement screen, swing assessment, your strengths, your weaknesses, getting together a plan of action, working on those strengths, exposing your weaknesses. These are intensive sessions, where clients may have travelled some distance to work with Bob – but they also have to be fun. 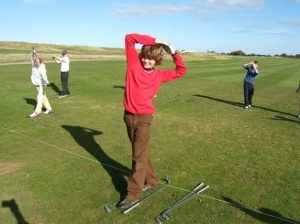 Accommodation and golf at classic links clubs like Hunstanton and Royal Brancaster can be arranged. Site visits to you are available for assessment at home or at your gym/club. Due to travel these will be extended sessions. Time will be taken to progress through a full screening, assessment and programming process throughout the days visit. 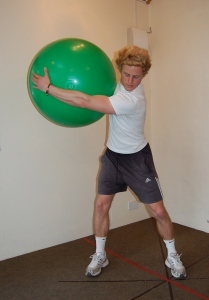 It is possible to work with your golf pro, or your current trainer within this process. Bob is fully equipped to be mobile and has portable high-speed motion capture facilities. Bob has specialised in working on golf long term development programmes… be that with England Golf, The PGA, Universities, colleges or individuals. His driving force is developing the link between physical and technical improvement, and creating a training “framework” to support the developing golfer.